Milestones are great excuses to generate brand awareness and gain more business. Examples of milestones include large growth, relocation, and anniversaries. These should be celebrated loud and proud! Besides taking out a billboard on the side of the road, however, how do you let people know you are celebrating? One good way is through strategic use of promo products targeted at those inside, outside, old, and new - that is to say, people inside your company and outside it, as well as old customer and new ones. We'll walk you through it in this step-by-step guide. First come those inside your company: employees are the most likely to proudly use and display your branded items, so they are a valuable advertising resource to grow more business. However, you need to get them on board. Announcing a big move or new staff may not always be met with positivity, so be sure to frame the news in a fun, exciting way. Internal parties or staff gifts are a great way to do this. Branded custom apparel is perfect to get your employees to wear it with pride. Here's another clever example: when a local business was moving, they gave every staff member a new branded tape dispenser/stapler combo. Of course, most staff already had these desk items, but then they attached a note saying ‘for your new desk’ and made the announcement. This was a brilliant use of promos targeting those inside your company. Next come those outside your company: you need to get your branding in line to grab their attention and expand your business. Expansions and moves are an excellent reason to rebrand or update your logo. For major anniversaries, an anniversary-specific logo is a way to denote that something exceptional is happening all year. Special logos can be displayed prominently on custom signs, flags, banners, and other materials so that you can’t miss the fact that your company has hit a milestone. One creative way to do this would be to break the logo into multiple pieces and create a collage of spaced-out metal or plastic plates. For example, you can see what we did for our 50th anniversary. Getting your milestone logo in front of people like this is a great use of promotionals to grab attention outside your company. Then come your old customers: you need to thank your existing clientele, with an eye toward expanded business with them. Chances are your existing customers are a big reason for your expansion, longevity, etc. Making them aware of your success deepens their loyalty to your business; making them part of that celebration makes them feel valued. One of the best ways to do this is to have giveaways either on location or mailed out to your customers (one will work better than the other for your business model – or you may need to do a combo of both!). 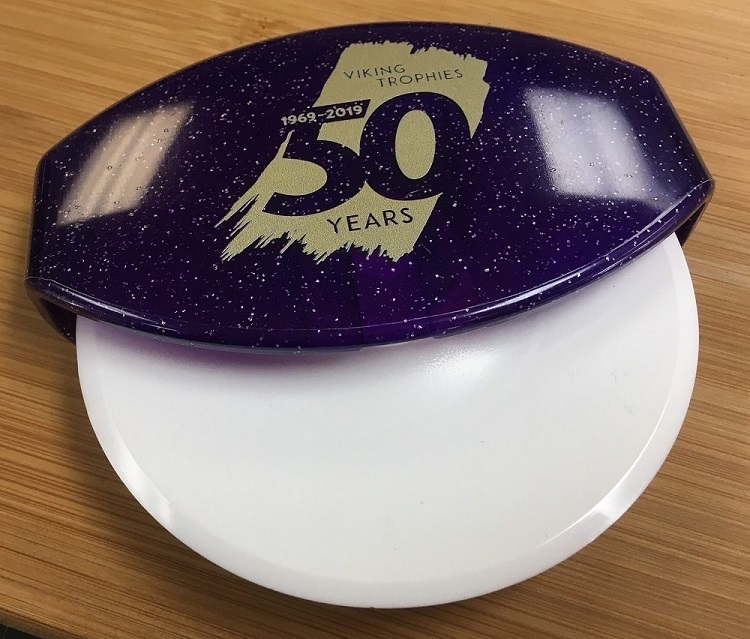 For example, for our 50-year anniversary, we ordered in a variety of gold products such as lip balm spheres, pizza cutters, candles, and can koozies. 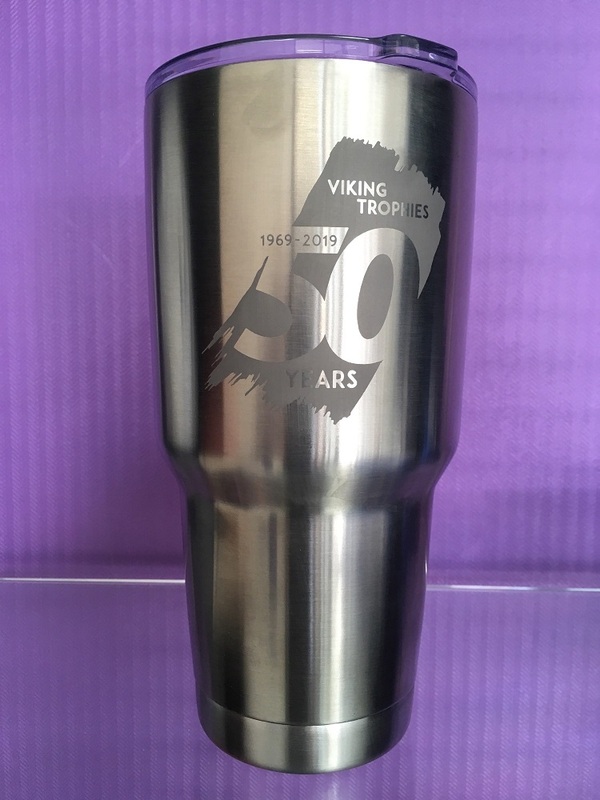 We have these in-store for our customers to take, and we’ll be mailing them out with a thank you to particular customers who we know never make it into our showroom. In this way, branded giveaways can build on your rapport with existing customers. Finally, it's time to build new clientele: you need to use this opportunity to gain more business! Since this is likely the section you'll be most interested in, we'll go into the greatest depth here. Milestones demonstrate success, and announcing your success far and wide shows the community that you are a stable, reliable business. So, go ahead and take out that billboard if you want! However, a more tactile, physical, and effective way to make this announcement is through the use of promotional products. Promo products have been proven time and again to have the best return on investment of any form of advertising. And the receiver often sees the item as a gift. When’s the last time you thanked a radio ad? Now think to the last time someone gave you a branded water bottle. I hope you said thanks! 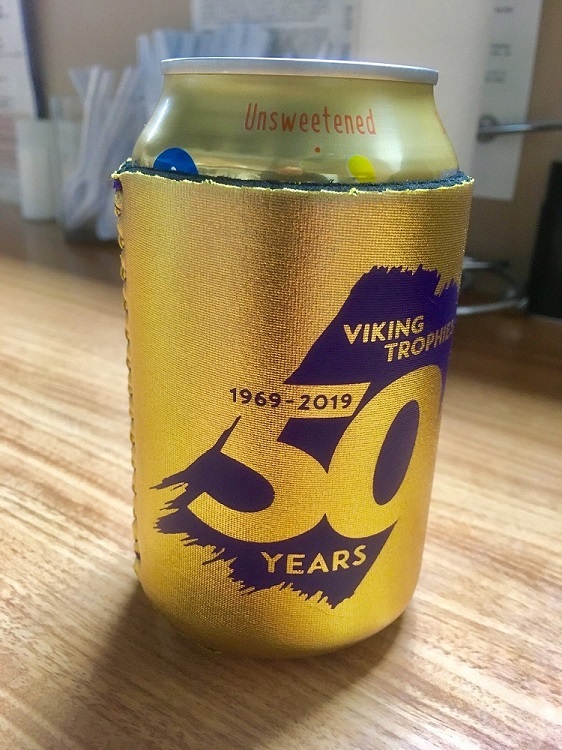 A two-part strategy for special-occasion promotional products works best. First, take all of those special items you’re giving to customers and bring them to trade shows. If you are exhibiting at a trade show, you should be among your target market. Now your target market will know that you’ve just hit 75 years in the business because they have received a diamond-shaped USB from your table. You will also want to hone in on some prospective customers. Create a list that works for your budget range and then buy a higher-end product to send out to them with a letter and maybe a discount offer. A great example of this was a customer who ordered in a martini set and sent it out with the message ‘we’re shaking things up!’ and then included a map with their new address and a coupon for the next order shipped from the new warehouse. In short, make a show of your success, don't forget about trade shows, and pull out all the stops for a prospective customers. In this way, you can use your milestone as a launchpad for generating new business. To remember this, just think inside, outside, old, and new. In other words, advertise to those inside your company and outside it, as well as to existing customers and new ones. Through such strategy, you can leverage your milestone toward increased revenue. We're happy to help you do that with our diverse selection of Minneapolis promotional products. Congratulations on your milestone! Now get to work making this your best sales year yet!